Our wedding requires a bit of signage to help point our guests in the right direction both on the road and in the forest. We needed to make a few signs to remind our guests (that choose to drive) to go past our regular driveway, and make their way up to wedding spot. 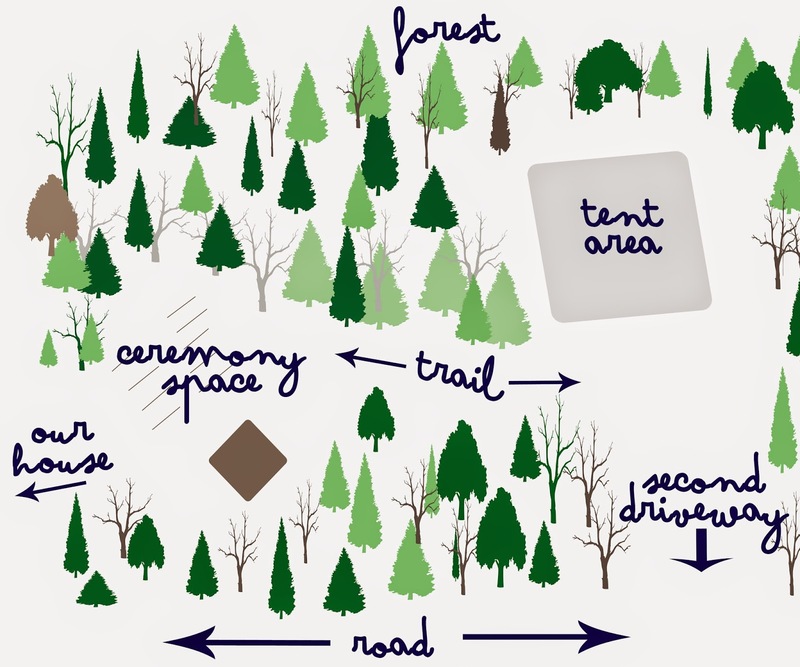 The ceremony is also tucked away in the forest and requires some direction. We have an old shed on our property that is falling down, but has some really great old barnwood that we are repurposing as much as possible. We're using it on our tables, for signage and for some of the benches Mr. Narwhal is making for the ceremony area. I started working on the signs recently and decided to share a simple hack that allows you to cheat your way into beautiful lettering. They take no time at all, I made three signs in about an hour! We took advantage of the rotted bottomed for signs that required an arrow. Mr. Narwhal cut them for me in a couple minutes with a chop saw. Using one of our wedding fonts* I printed out the word 'ceremony' in a font size that would fit the sign and taped it down. Using a pencil, I went over all of the letters with a heavy hand to dig into the wood a guide. I find the mechanical pencil works best. It really is that simple! I'm not really the best at free hand painting, and this little trick can fool anyone into thinking you're super talented. Next on my to do list, I need to tackle the much bigger signage to replace programs with our wedding party names and wedding timeline. Do you have any sign tricks?